Whether you are building a new home or business or moving into an existing building, obtaining water and sewer service begins with a determination of how much water you will likely consume. That assessment is made in terms of EDUs (Equivalent Dwelling Units). All single-family homes are one EDU, regardless of how much water they actually consume. Commercial, industrial and multi-family occupancies generally equate to more than one EDU. Tapping fees are established per EDU. The higher the anticipated usage, the higher the tapping fee. You can think of the tapping fee as paying your share of the capital costs of the system that our other customers have already paid for. Prior customers have already paid for the reservoirs, treatment facilities, distribution and collection lines, etc. The tapping fees assure that ALL customers, regardless of when they joined our system, pay their fair share of the capital costs. If you are moving into an existing house, there are no tapping fees due. That tapping fee was already paid for that property by a previous owner. You simply make application for service, and pay the appropriate bi-monthly fees. If you are building a new home, you are required to pay a one-EDU tapping fee for water and sewer service. If you are moving into a commercial building, or converting an existing house to a commercial occupancy, there may be tapping fees due. If your proposed usage is higher than the previous occupancy, tapping fees are due for only the difference in capacity. If usage is expected to be equal, no tapping fee is due. If you are building a new commercial, industrial or multi-family residential building, a tapping fee will be calculated based upon anticipated usage. 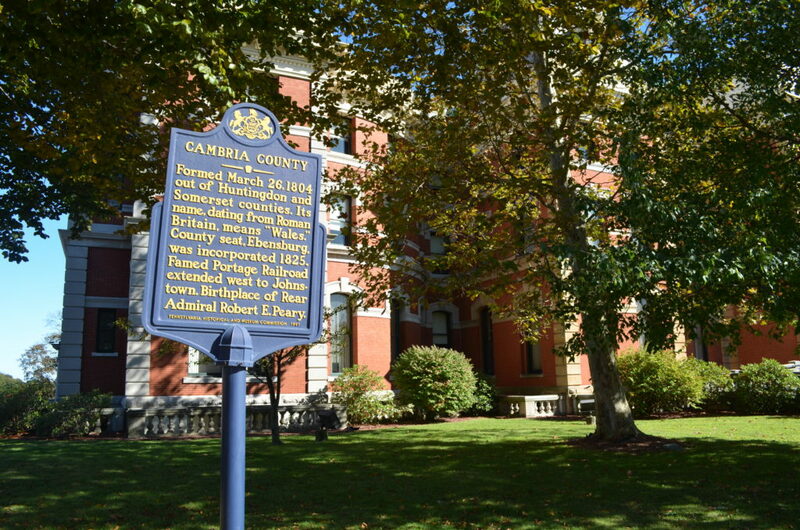 Ebensburg Borough bills its customers every two months. The bills for water and sewer service are based upon metered water usage. The bi-monthly base rate includes the first 5,000 gallons used. An additional charge is added for each 1,000 gallons used over that minimum. If you are within Ebensburg Borough, a separate garbage collection fee appears on the same bill.